One of the things that sets a seasoned hacker apart from the script kiddies is the ability to effectively sneak past antivirus defenses when executing an attack. One way to do this is to use custom shellcode in an exploit. Not everyone is an expert at writing shellcode, but luckily there's an easy way to do this that is both quick and effective. Antivirus evasion is a broad field that some people devote their entire work to. It is a large part of exploit development, and it is certainly useful when trying to bypass common defense mechanisms. One of the ways to obfuscate payloads is by generating custom shellcode. This method can be utilized when developing an exploit from scratch or when using an existing exploit to better hide from antivirus software. In Metasploit, payload shellcode can be generated from within the framework. We will be using msfconsole today, which is arguably the most popular interface for Metasploit. When a payload is loaded, a few commands become available, including the generate command, which will be the focus of this guide. First off, let's fire up Metasploit by typing msfconsole in the terminal. Once it loads, we can choose a payload. Most any payload will suffice, but for demonstration purposes, we will be using a simple bind shell. -e <opt>  The name of the encoder module to use. -i <opt>  the number of encoding iterations. -o <opt>  A comma separated list of options in VAR=VAL format. -p <opt>  The Platform for output. -s <opt>  NOP sled length. We can generate shellcode without any options, although the odds of this payload bypassing any modern antivirus software are probably pretty low. Below, we can see the size of the generated payload, 78 bytes, followed by some other settings, and finally the raw shellcode. Metasploit will automatically select the best encoder for the job, by default, but we can also specify which one to use to fit custom needs. Type show encoders to see a list of the available encoders and their descriptions. For example, we could use a simple XOR countdown encoder (x86/countdown). Specify the encoder to use with the -e flag. The generated shellcode is a little different now, in addition to being slightly larger at 94 bytes. Depending on the target, certain characters might not be allowed to exist in the payload. The null byte (\x00), except for in rare cases, almost always causes problems when present in a payload. To generate shellcode while removing a specific character, use the -b flag. We can also omit multiple characters at once. At a certain point, though, this feature has its limits. If too many characters are disallowed, the payload might not be allowed to be generated, resulting in the following error. Another useful technique for bypassing antivirus is encoding the payload with multiple passes. This essentially takes the generated shellcode and runs it through the encoder again with as many passes as defined. Use the -i flag to specify the number of iterations to encode the payload with. Keep in mind, we can combine multiple options when generating shellcode in order to better our chances at evading antivirus detection. If we look closely, the default listen port for our bind shell is set to 4444. We can change that, and any other option for that matter, by using the -o flag followed by the variable and the value to set. Let's change the listen port to 1234. Another extremely useful feature is the ability to encode the payload in different output formats. A listing of the available formats can be seen by viewing the help options, with the generate -h command. To generate shellcode in Java format, for example, we can use the -t flag. We can see that the output looks a little different than before since the shellcode is in another format now. Finally, we have the option to save the generated payload to a file instead of having it displayed directly on the screen. Use the -f flag followed by the file path — in this case, the file titled "payload" is being saved right in the home directory. Will This Really Bypass Antivirus Tools? Virus Total is an online tool used to examine suspicious files to determine if they are malicious or not. It combines many antivirus products and tests uploaded files for known signatures in the database. 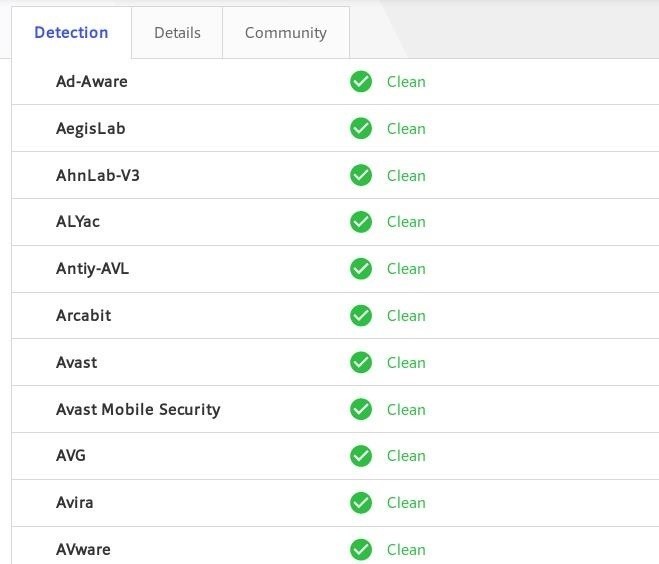 We can see that the sample payload we created comes back clean for most antivirus software. Please note that uploading a file to Virus Total will add it to the database, so don't upload anything that you don't want to be detected in the future. Feel free to play around with all the different options that the generate command has to offer, and have fun creating a totally unrecognizable payload. Metasploit makes it easy to generate custom shellcode from within msfconsole, in an effort to obfuscate payloads and evade antivirus detection. The generate command has a slew of options available, ranging from the ability to restrict certain characters to encoding the payload with multiple iterations. Most of these options can be combined to create a payload that has a decent chance at bypassing antivirus software — a goal that should be on the mind of any would-be hacker. Alternatively, you could start a new forum topic.